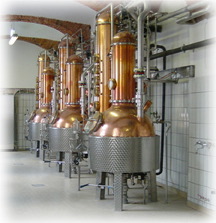 The name CARL stands for the world-renown custom-fabricator of artisan distilling, mashing and brewing equipment, working in copper and stainless steel. 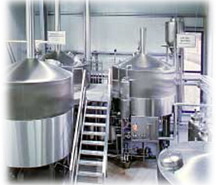 one of the long-time leaders for small to mid-size brewhouse systems. Our brewing heritage now often is applied for malt whisky plant ‘mash-tuns’ as well. So If you are starting up a distillery or a brewery, whatever your application or capacity requirements, or if you are expanding/upgrading an existing plant, we will provide you with the right CARL Distillery or Brewery technology fit, custom-tailored to your specific process. CARL will provide you with the experience and resources to determine the optimum technological solution, from a single component to a complete turn-key plant. Our innovative, on-going technological developments, high fabrication quality and responsive support services are without peer in the industry. We welcome you to the House of CARL. Browse the following pages for more detailed information on our capabilities scope and feel free to contact us anytime to discuss your project needs.